The Departments of Finance, Health, Social Welfare and Education all used the laundry on Sean McDermott Street in Dublin. 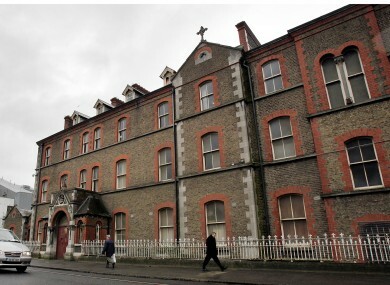 GOVERNMENT DEPARTMENTS AND State agencies used Magdalene laundries to do their washing over a period of many years, the report into the laundries has found. The report notes that the State giving business to the laundries could be considered “indirect financial support”. However it notes that there was no evidence to suggest a “deliberate policy or preference by State agencies for use of Magdalene or other institutional laundries over non-religious-operated laundries”. Where the Magdalene Laundries won a contract from the State, it was either the only or else the cheapest tender that was submitted. The report looked at specific records available from the laundry on Sean McDermott Street in Dublin’s north inner city between 1960 and 1966. It found that State contracts amounted to an average 18 per cent of the total business of the laundry and was worth £46,449 in business over the six years – around €150,000 in today’s money. The Departments of Finance, Health, Social Welfare, Education, Industry & Commerce and Local Government. Leinster House, Ordinance Survey office, the Chief State Solicitors Office, District Court on Inns Quay, Bord na Mona, Land Commission and Office of Public Works. A number of State-funded hospitals and clinics also used the laundry, including Royal Hospital Kilmainham, Jervis Street Hospital, Crumlin Hospital and a TB clinic on Charles Street. An advertisement in a newspaper looking for laundry contractors for the Department of Education. The image was included in the report. Surprisingly, the government used formal tender processes almost from Independence, with strict adherence to procedure. Although the above Government Departments and State agencies were repeat customers of the Sean McDermott Street laundry over the 6 years for which records survive, payment for laundry services provided was slow and frequently outstanding for lengthy periods. The report found that many government departments destroyed financial records after a set period of time, which meant little or no information was available in some cases. However in others it was possible to measure the exact volume of business involved, and the committee behind the report used archived material from government departments, State agencies and the religious congregations in order to build up a more complete picture of how much money was involved. The remainder of the business of the Laundry was made up by hotels, which were considered the mainstay of the business, as well as school, private companies, and individuals. Email “Government departments used Magdalene laundries to do their washing”. Feedback on “Government departments used Magdalene laundries to do their washing”.